It’s hard to find a truly stripped-down, lightweight email client for mobile but Edison Mail keeps its interface neat and tidy even if there are a lot of features and functions under the hood—it can automatically pick out attachments and bills for example, and features an instant unsubscribe feature. For the purposes of this article though, it sports a clean, lightweight design, and keeps everything moving quickly, from syncing to searching. Schedules and calendars aren’t the easiest data sources to show in a minimalist way, but Timepage from Moleskine manages to do it admirably. Your messy agenda is suddenly transformed into something much simpler to navigate, with a choice of views available (the Timeline is perhaps our favorite). A bunch of smart features are hidden behind the scenes as well, and the only downside is it’s not available on Android. Notion defies easy categorization, but it’s a sort of Evernote-esque all-in-one note-taking and task management tool (it runs on the web and desktop as well as mobile). 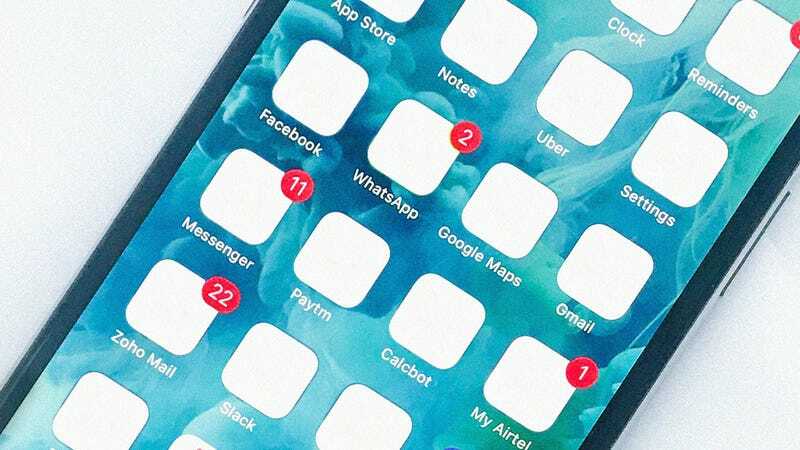 As well as being intelligent and intuitive, the interface of the app is also clean and straightforward to use—your tasks and your notes are easy to arrange and view at a glance, and you should find yourself just a little less weighed down by everything you need to keep track of. When it comes to podcast players, you’ve got plenty of options, but as far as minimalist aesthetics go, our favorite is Overcast. It’s got some really neat features, like variable playback speeds and a sleep timer, but whichever screen you’re on, everything feels well designed and elegantly laid out. You’re out of luck if you’re not on iOS, but the recently revamped Pocket Casts is worth checking out for $4 on Android and iOS.